“Everyone deserves a place to stay,” says Ron Stretcher, and even if you don’t agree, Stretcher says Dallas County has something for you, too: taxpayer savings of over one million dollars. While nonprofits in every city struggle to serve their homeless citizens and end chronic homelessness, Dallas is partnering with the Corporation for Supportive Housing (CSH) to open The Cottages at Hickory Crossing. 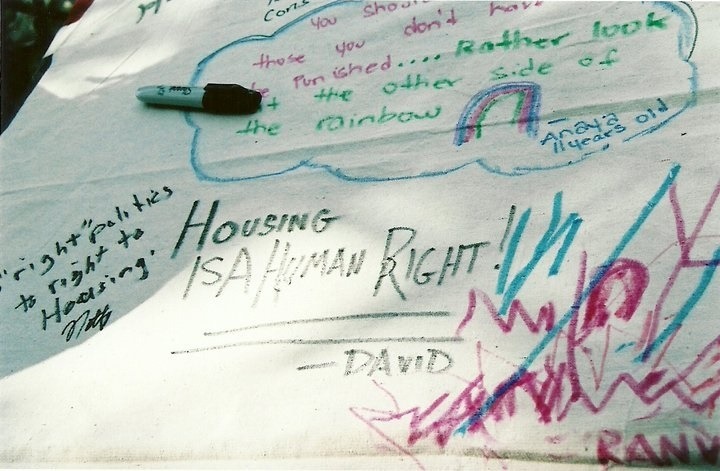 Supportive housing is not a new topic to NPQ. In May, NPQ reported that San Francisco is creating supportive housing by redeveloping the Civic Center Hotel. That article referenced some of the obstacles with the San Francisco project, including a two-year timeframe to even begin the construction required for the project. The Dallas project, although many years in the planning phase, seems to have avoided this fate. They broke ground in April 2014 and residents will start moving in this coming November. And as NPQ reported in March 2015, New York City’s supportive housing learned some hard lessons about social services, the component that makes supportive housing really work. In Dallas, according to CSH, “six of the highest performing nonprofit and governmental organizations” were brought together by the Communities Foundation of Texas to create and maintain this supportive housing project. Dallas appears to be armed and ready with long-term case management and other social services that promote dignified living among the chronically mentally ill. According to the CSH website, the goal of this complex is to “successfully house people who live with a mental illness and/or substance use disorder and cycle through jail due to a lack of stability that supportive housing can provide.” What makes this complex unique is that, according to CSH, this AIA Dallas Design Award winner will include green space for recreation, solar energy, and rainwater collection. Sustainability is often synonymous with words like “viable” and “continuous,” another way that cost savings are reflected in The Cottages at Hickory Crossing.